A wild terrorist appears! It uses self destruct! IT'S SUPER EFFECTIVE! Yes but the question is: what does the inside look like? Now that I think about it, I've never seen an airplane in the Pokemon games...or even the shows for that matter. Stewardess, there's a pocket monster on the wing! Hey I flew Tokyo - San Francisco on that plane. The whole way Pikachu stared at me from the wing tip! Freaky! well, heres the flying type gym. Funny how none of the ones you can see can learn fly..
That makes me feel all pokesquishy inside! 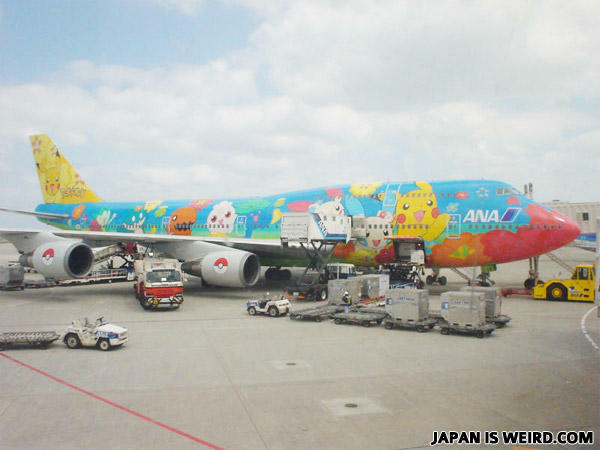 A pokemon plane? Now that's pretty cool! Holy ****, I'm in heaven.